MEMBERS ONLY - now open! In addition to my countless YouTube and facebook videos, I'm launching a PRIVATE - members only section. This section will be for those of you who want to take your training and the relationship with your dog to the next level. My member section will let me bring you more detailed instruction, longer videos, more contact with members and eliminate advertising on the member's videos. Each week will feature a new lesson with detailed instruction and downloadable pdfs. Also a much easier to use layout to find what you're looking for. join now! Robert is a Renaissance Man - artist - activist & warrior. But most of all he is the best friend to animals great and small. Robert is a canine behavior specialist whose work has helped dogs all over the world. His dog training expertise is quite diverse. He has trained, handled and evaluated thousands of dogs through his work with Bound Angels helping animal shelters save countless dogs throughout the USA and beyond. Personally Robert has titled, trained and competed in various canine sports including: IPO (Schutzhund), Mondio Ring and AKC Obedience. Because of his immense understanding and compassion for dogs, he is considered one of the very top dog trainers. His private clientele includes Malibu, Pacific Palisades, Beverly Hills and beyond. He is a problem solver for even the most complex canine behavior issues. His theories & techniques are used by animal shelters throughout the US in dealing with difficult dogs and helping to make them more adoptable. These techniques are responsible for saving the lives of countless thousands of dogs and moving many shelters toward No-Kill. His YouTube channel receives millions of views and is updated daily with new videos. Robert’s experience training dogs includes most every breed and temperament. He has instructed, trained and rehabilitated dogs from shelters nationwide giving them their only chance at adoption. He has trained and titled competitive obedience, protection and sport dogs and trained loving family pets in his private dog training business in Malibu, California. I refer him regularly as a trainer with amazing “dog” intuition and someone who can get the job done. But don’t be fooled, if there is work to be done by the owner, he doesn’t pull the punches. He is straight forward and honest and I trust him. No one ever did for an animal and for myself what he has done, he’s made me understand the why’s and the very nature of dogs. He is a stand alone act because he produces a level of skill & competence that is rare in any field. Because he has such a deep and spiritual understanding of animals, he gets results quickly. Robert has made training fun for me and for my Rosie and I now look forward to our training time together. Rosie is happier and safer today because Robert set us on the right path. I’m so grateful to Robert for opening up another world of pleasure for us. 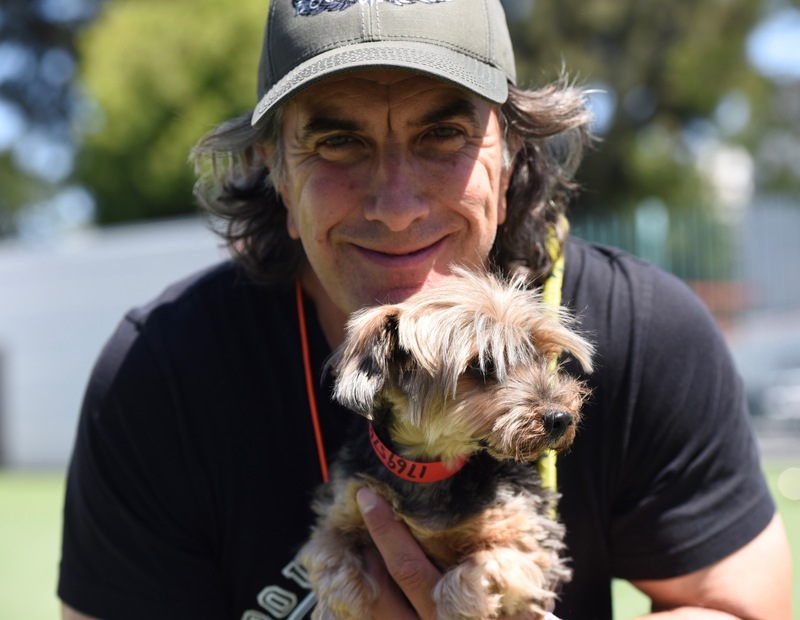 Robert is also known as “The Malibu Dog Trainer.” Having lived and trained dogs here in Malibu for more than 15 years, Robert is referred by every local, veterinarian, groomer, pet store and dog lover! Robert’s work with Bound Angels saves thousands of lives each and every year. The educational campaigns help shelter management, staff & volunteers to better understand canine behavior and help those dogs that need it most. Bound Angels is a non-profit 501(c)3 organization that provides life-saving resources to municipal shelters, humane societies, SPCA’s and rescues nationwide. Please consider supporting the work of Bound Angels, by clicking here and making a tax deductible donation. Mastering the Art of Success was written while Robert was teaching traditional martial arts. It focuses on the ideals of success and how to achieve them. The book is a compilation of short chapters making it easily readable and very informative. Topics include; dealing with stress, negotiations that apply to both personal and business situations as well as defining what it means to be successful. Selling Used Dogs is based on Robert’s extensive experience in saving shelter dogs and the creative methods he used to successfully marketing them for adoption. The book contains hands-on steps including how to make You Tube videos, photography tips, posting to Facebook and much more. All of the methods in this book have proven successful in saving the lives of shelter dogs. Desperate Dogs Determined Measures was written for one single reason. Someone commented to Robert, “If I had your skills, I would train and save dogs all day long.” This inspired Robert to write about the steps to his success in training, assessing and working with shelter dogs. The book is a no-nonsense guide to helping save the dogs at the greatest risk in our nation’s shelters. Many people consider it a “Bible” for those wishing to save more dogs from shelters. Robert Cabral: A Spokesperson for Dogs Like No Other. Robert Cabral on San Diego Living CW with Jacqueline Bennett from robert cabral on Vimeo. Robert Cabral on NBC Today Show with Kathy Lee and Hoda from robert cabral on Vimeo. Robert Cabral KTLA Hero at Home from robert cabral on Vimeo. Robert Cabral on CW San Diego Living from robert cabral on Vimeo. Robert Cabral is the best voice dogs could ask for. He is a dog’s best friend. Whether it’s health, behavior, safety, exercise, or rescuing them from our nation’s shelters, Robert Cabral is the authority on all things dog. He sees the issues that confront dogs from their perspective and is able to achieve remarkable results in training and rehabilitating even the toughest of dogs. Robert is considered one of the top dog trainers. His high-profile clients in Malibu, Bel Air, Beverly Hills and throughout LA keep him extremely busy when he’s not training and competing with his personal dogs in competitive sports including Schutzhund, Mondio Ring and AKC Obedience. Robert is probably best known for his work with Bound Angels – a non-profit dedicated to saving thousands of dogs in our nation’s shelters. Robert has been featured on TV Shows, newspapers, blogs, radio shows. Etc. –both locally and nationally– for his expertise on canine behavior, training and safety. He is a spokesperson for every dog: good or bad, young or old and just about every breed. He is the voice for the voiceless and the voice of reason for those who need his guidance. Whether he is speaking to shelters, the media or addressing training groups on canine behavior, marketing dogs for adoption, solving the shelter dog crisis – one thing is very clear; Robert is passionate about his work and that passion shows in everything he does.